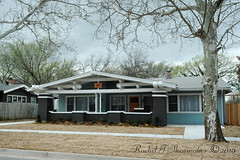 ← A Rare Wardway Kit Home in Chelsea, Oklahoma! A Picture Perfect Aladdin Massachusetts in Webb City Missouri, Seriously! “A distinctly original type following swiss lines, yet this beautiful structure is perfectly adapted to modern ideas of what an American home should be.” That is the description given to the Aladdin Massachusetts when it was first offered in their 1913 catalog. I love reading the descriptions leading in to the Aladdin homes! 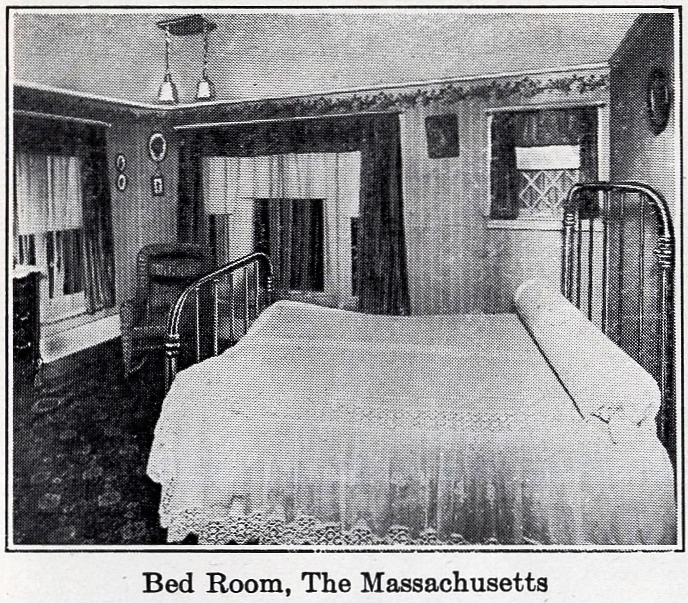 The Aladdin Massachusetts was offered in 1913, 1914, 1915, and 1916. In 1917 Aladdin made a few changes and it became the Shadow Lawn. They offered the Shadow Lawn every year from 1917-1922. It became one of their most popular models. Here is the catalog cover of my 1914 Aladdin catalog which features the Massachusetts on the front and through out the catalog. Webb City Missouri is home to a catalog perfect Aladdin Massachusetts! When the homeowner contacted me quite some time ago I was impressed with how exact it is to the original Bay City Michigan model. 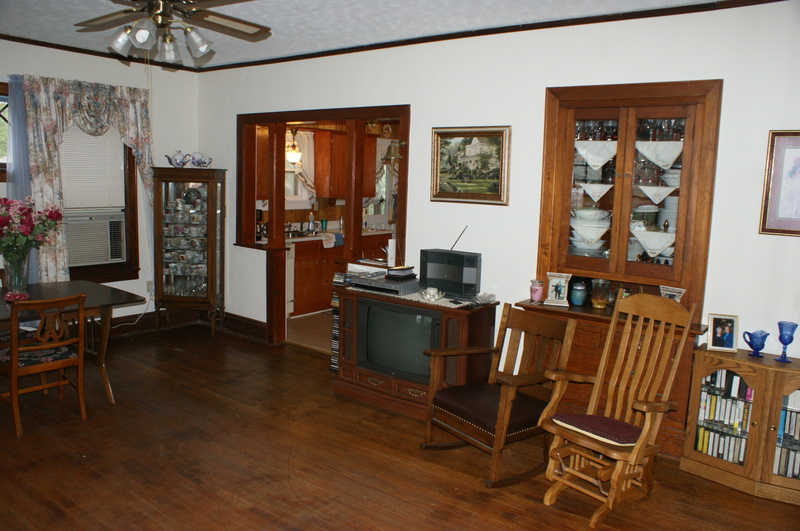 Then, he sent me photos of the interior. I was even more impressed. I couldn’t believe how this house had escaped all of the remuddling many of these homes endure over the years. A beautiful Aladdin Massachusetts! Let’s take a look. 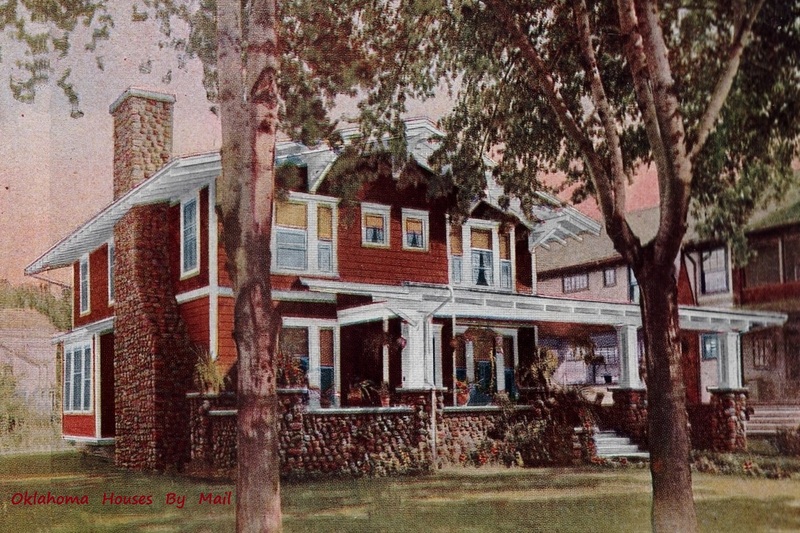 This is from the 1916 catalog and is the model in Bay City, Mi. 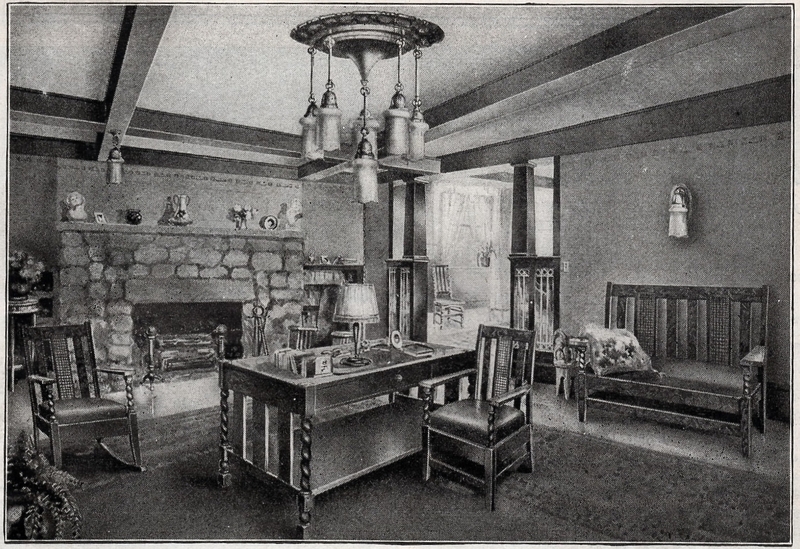 The Aladdin 1916 catalog features several interior views of the Bay City home. Let’s go inside! 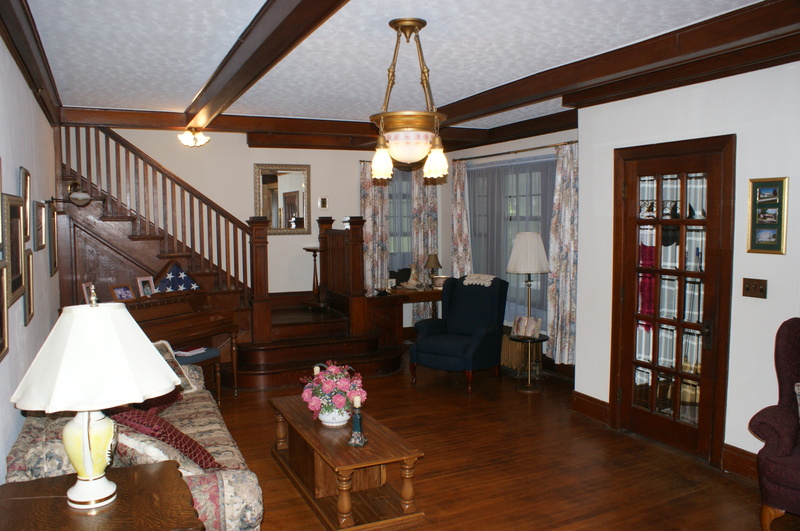 The Webb City Massachusetts Living Room 2014. Photo courtesy of Mark Poole and did he nail that or what? The Aladdin Massachusetts Catalog 1915. 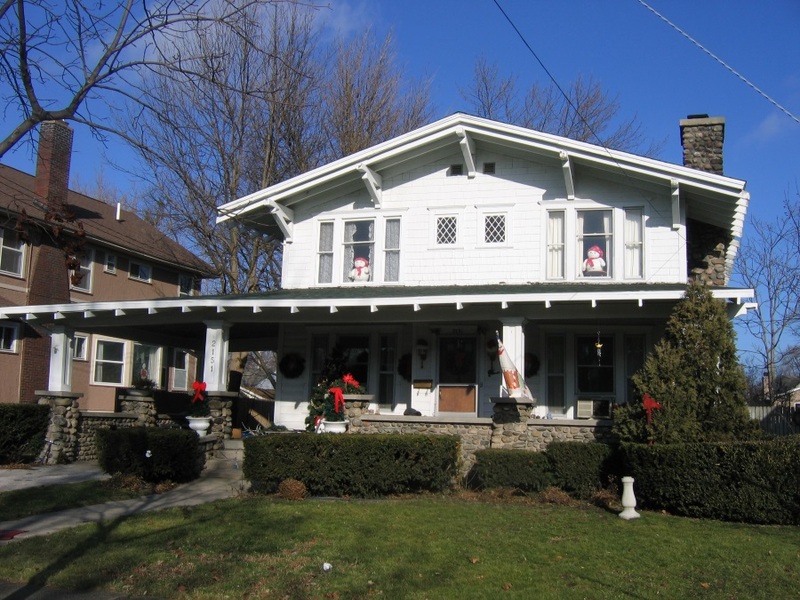 The Bay City home built in 1912 didn’t have windows next to the fireplace, they were added when the home became available in the catalog. Did you notice the living room chandelier? That is ORIGINAL and was also purchased from Aladdin! 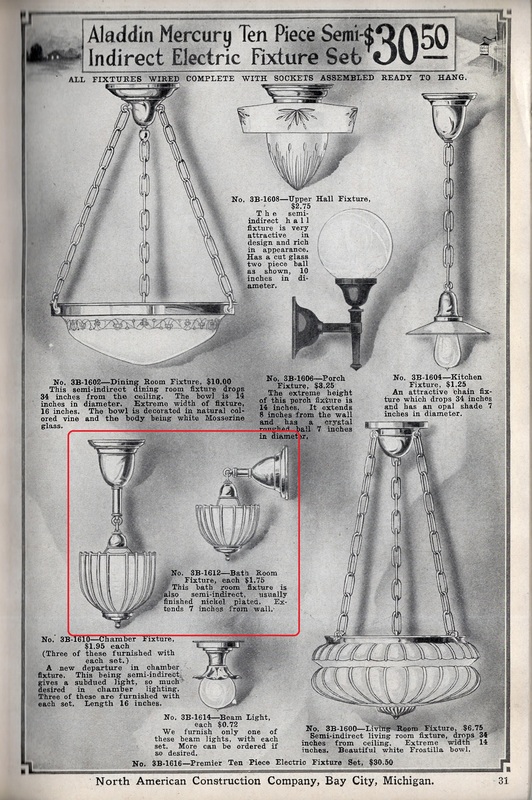 Fixtures were not included in the “kit” but available for purchase. Aladdin Neptune Chandelier in the Massachusetts in Webb City. 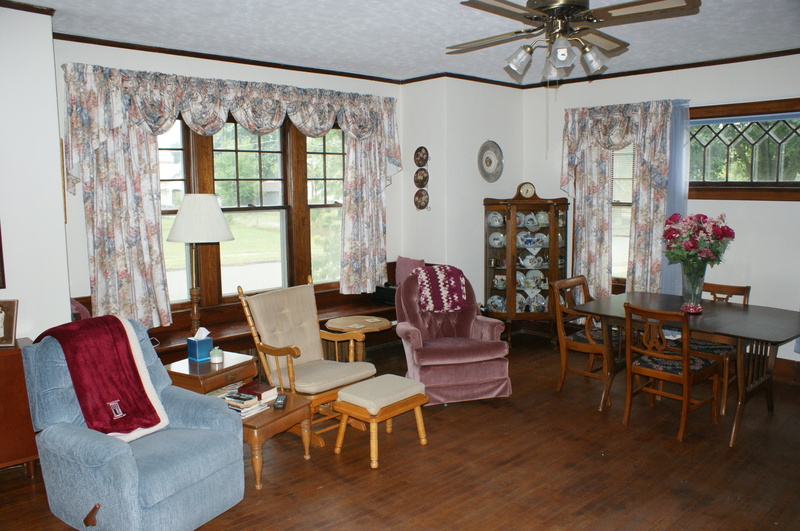 Let’s see the dining room next! 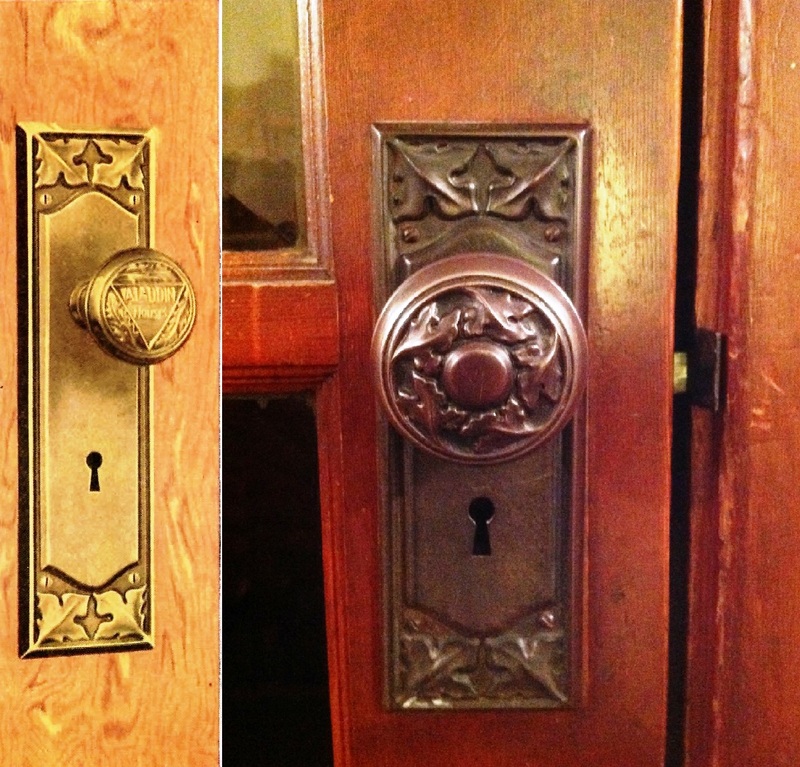 But, as we pass through the French doors notice the original Aladdin Hardware. 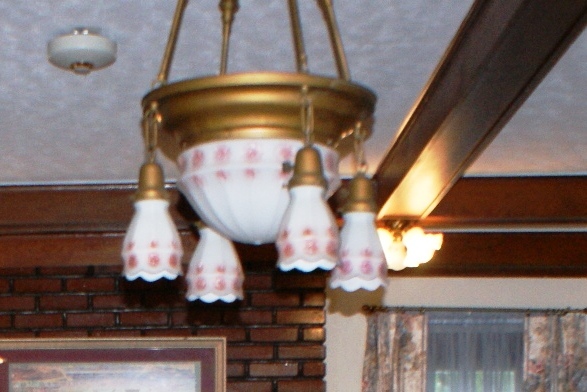 This hardware is often found in Aladdin homes. 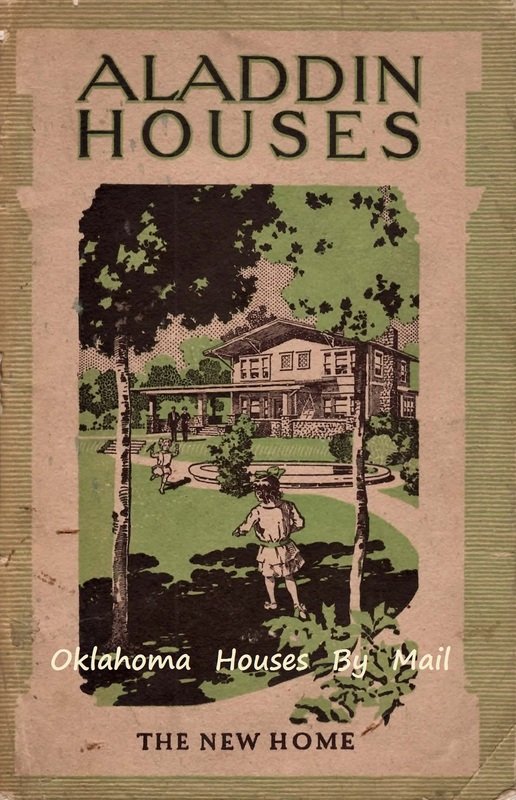 The catalog image is from my 1916 catalog and image is from the Webb City home. 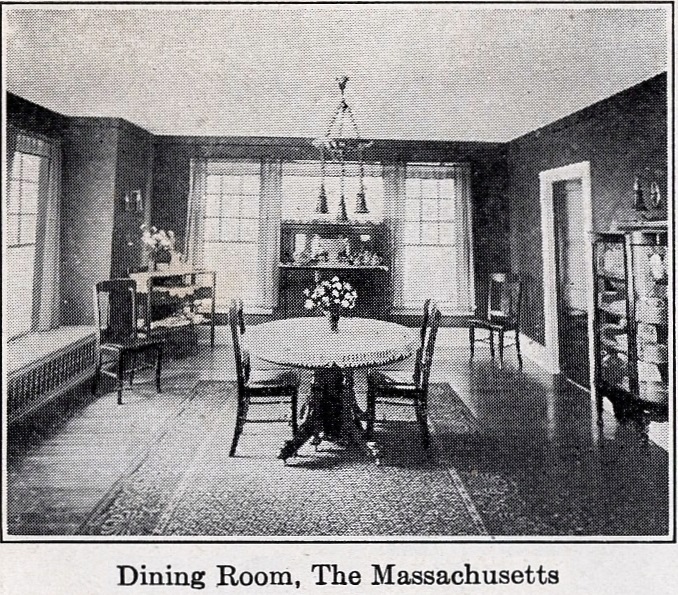 The dining room in the Webb City Massachusetts. 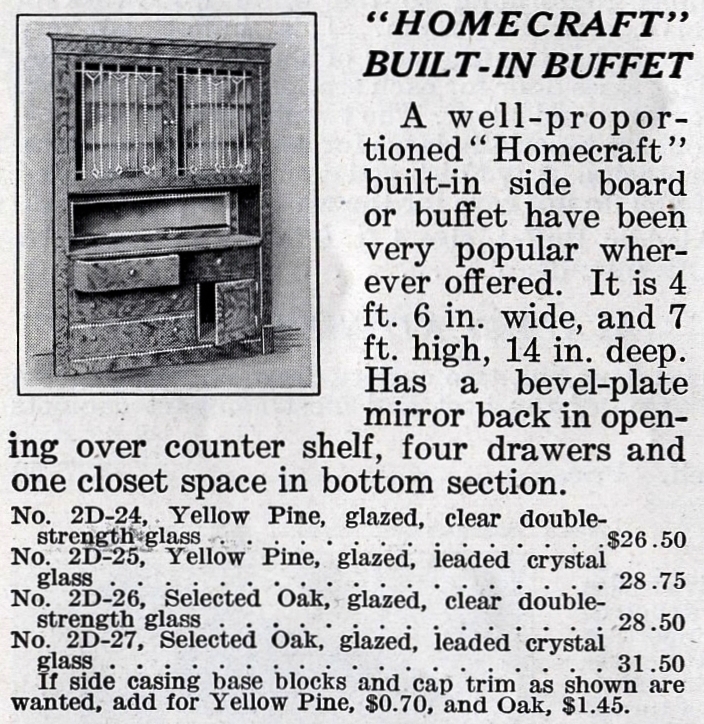 Dining Room Hutch from Aladdin 1915 Buffets and Colonnades. 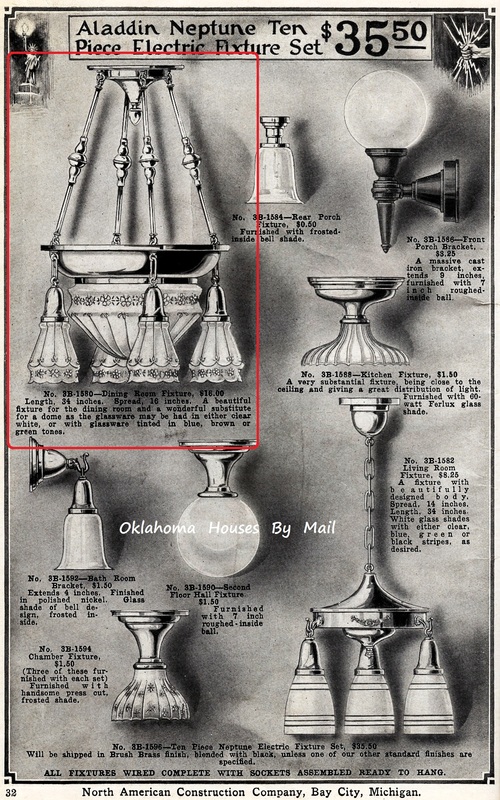 Aladdin 1915 Homecraft Mercury Light Fixtures Bathroom and Kitchen are found in the Webb City Massachusetts. Now, let’s go upstairs and see a few views there! 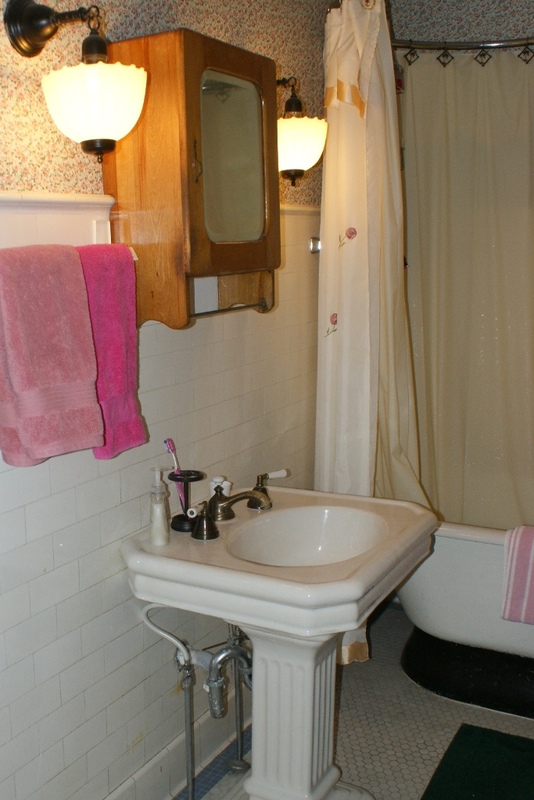 The Bathroom in the Massachusetts with original light fixtures shown earlier and the original tub still! Just two more photos tonight and I’ll finish this in part II. There’s more! 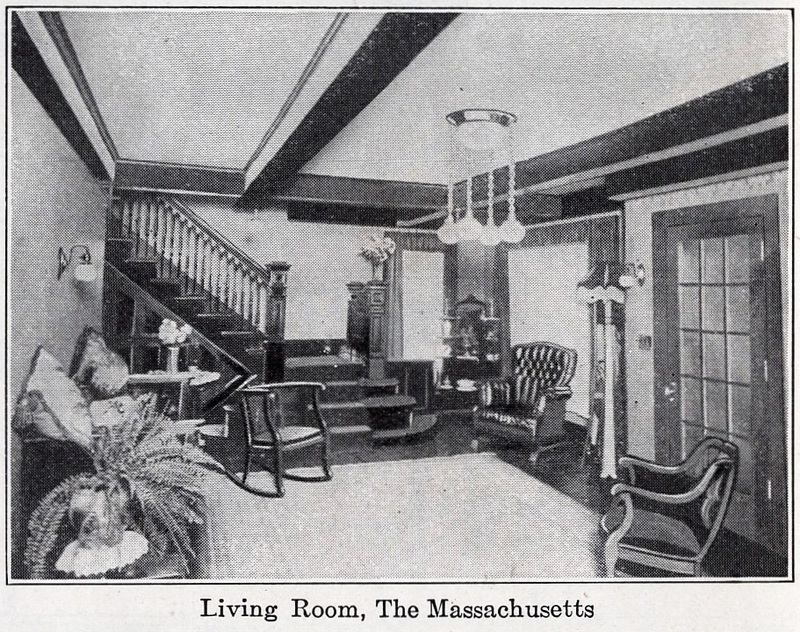 Although company founder William Sovereign’s Massachusetts was built in 1912 I chose the 1916 catalog image for a reason. Come back for my next blog to see why! And, a special Holiday treat….thanks to Aladdin Historian Dale Wolicki for sharing his photo of William Sovereign’s Aladdin Massachusetts which became the catalog model home through 1922 when the Shadow Lawn was discontinued. The house suffered a fire in August 1993 but was meticulously restored to its original state. Bay City Michigan Massachusetts. Photo is courtesy of Dale Wolicki and may not be used without his written permission. There’s more to this blog and I’ll finish that in part II. This blog has already been long enough although most of it has been catalog images and wonderful photos. 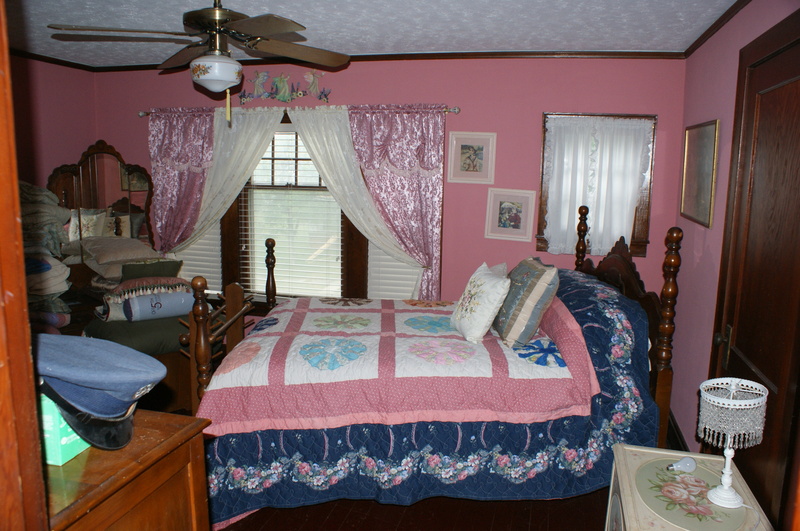 A special thanks to Mark Poole, the homeowner, for sharing so many wonderful photos of his beautiful Aladdin home. (There are more to share in part II.) 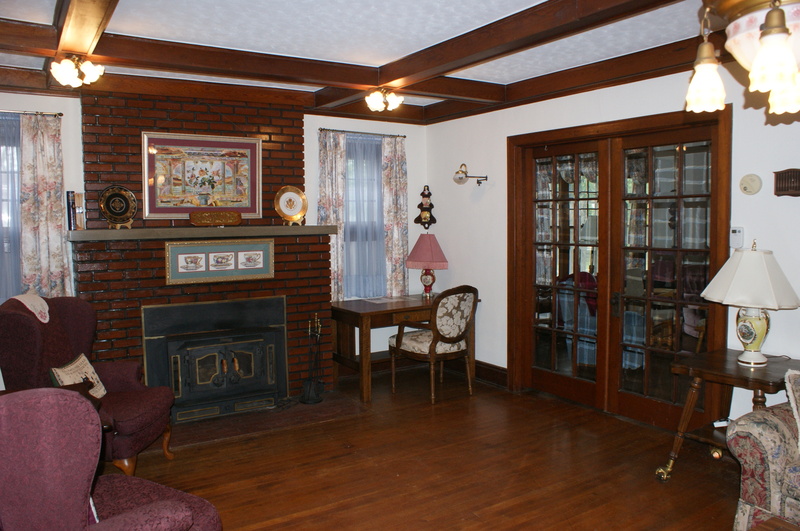 It has been a pleasure to feature such a beautiful and original home. We don’t see many that remain this original 100 years later! Do you have a kit home to report or need help identifying one? You may email me at searshomes@yahoo.com or contact me on facebook here. And…thanks to Rosemary Thornton for,well, everything! 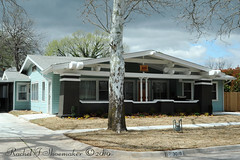 This entry was posted in Kit Homes Around the Country and tagged 302 N Roane Str Webb City Missouri, 302 NRoane Str Webb City Missouri, Aladdin Homes, Aladdin Houses, Aladdin Massachusetts, Aladdin Readi-Cut, Aladdin Shadow Lawn, Aladdin Shadowlawn, American Bungalow, American Four square, Bay City Michigan, Bungalow, Bungalow Home, Catalog Home, Catalog House, Cherokee Strip, Craftsman Bungalow, Craftsman Home, Foursquare, Missouri Kit Homes, North American Construction Company, Oklahoma Houses By Mail, Webb City Missouri, William Sovereign. Bookmark the permalink. 12 Responses to A Picture Perfect Aladdin Massachusetts in Webb City Missouri, Seriously! Just beautful! And your photos are first-class! What a gorgeous house!! What a lovely home! A special thank you to Mark for sharing his photos and to you for putting it all together and making it a great house tour. Can’t wait for the 2nd half of the story! Thank you both! That is a beautiful home and it is rare that we get to see the inside of such a treasure. A BIG thanks to Mark for finding my blog a year or so ago and sharing photos. I think i may have seen a Sears Osborn for sale in Walla Walla, Wa. 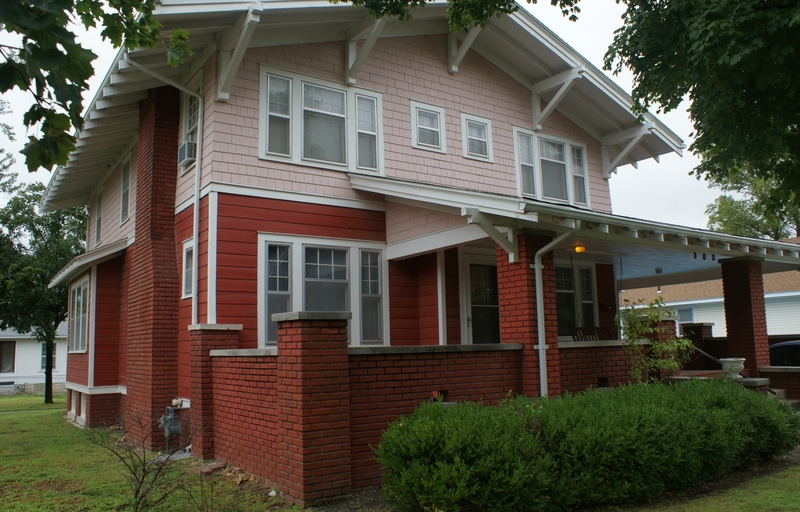 The address is: 1350 E. Isaacs Ave. Could you have a look please and see if it is? Thanks. Hi Michael, it *might* be a Sears Osborn but given the research I turned up I think it is likely the bungalow pattern by a Seattle architect that Sears acquired later. Thanks for sharing it! I bet this was a popular bungalow in that area. It doesn’t look to be Sears construction either. See the Walla Wall bungalow he speaks of here.